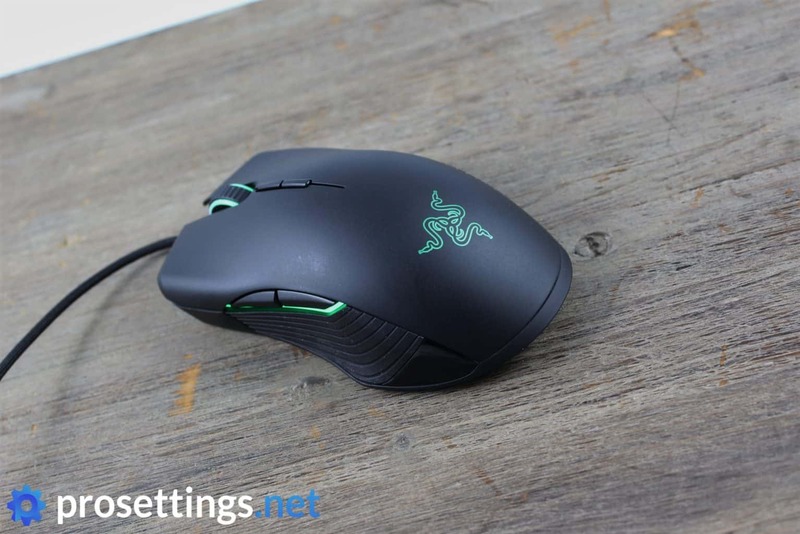 Razer makes a whole lot of gaming products, ranging from the world famous Deathadder line to actual gaming phones, but when it comes to their (high end) mice they all seem to be on the thicker side. That’s not an issue in and of itself, but obviously these shapes aren’t to everyone’s liking. Some gamers prefer flatter, more neutral mice. Enter the Lancehead Tournament Edition. 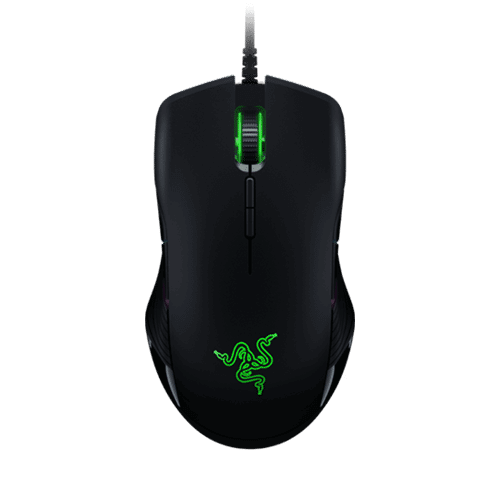 This mouse features all the hallmarks of a top-of-the-line Razer mouse: the 5G sensor, Razer switches, flexible cable and (this is a more recent function on Razer’s ‘pro devices’) on-board memory. It also has side buttons on either side, so left-handed gamers can pay attention here as well. Is it all worth it though? 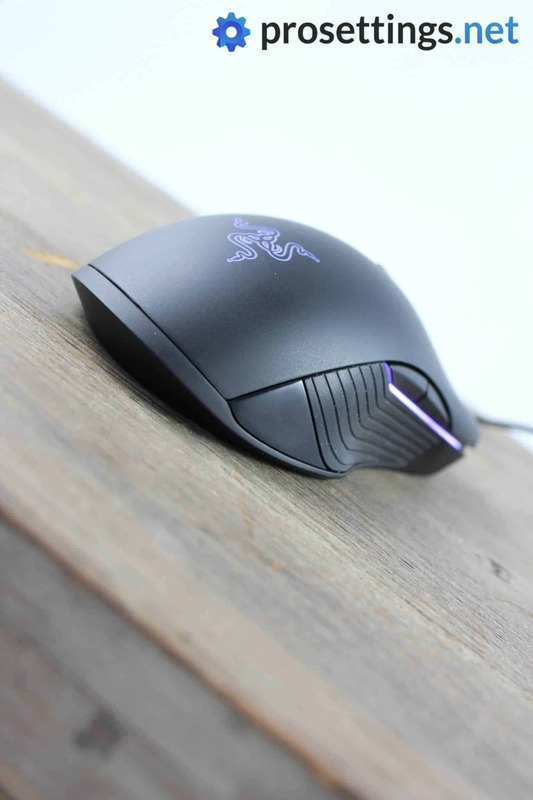 Read on to see what our reviewer thought of this mouse. The Razer Lancehead TE (the ‘Tournament Edition’ in Razer products often gets abbreviated to ‘TE’) is a flat and ambidextrous model. The mouse itself is a medium-sized ambidextrous mouse, and the most obvious and noticeable feature about the shape itself is the fact that it flares out towards the back. Whether or not that’s a good thing will depend on your preferences, but more on that later. There are side buttons on each side and underneath these buttons runs a (fully configurable) LED strip. The sides of the mouse wheel also light up and the mouse is finished with the famous Razer logo (which also lights up) towards the back. As per usual, Razer’s RGB implementation is gorgeous, and if you’re someone who cares about these sorts of things the Lancehead TE will absolutely fulfill your needs. 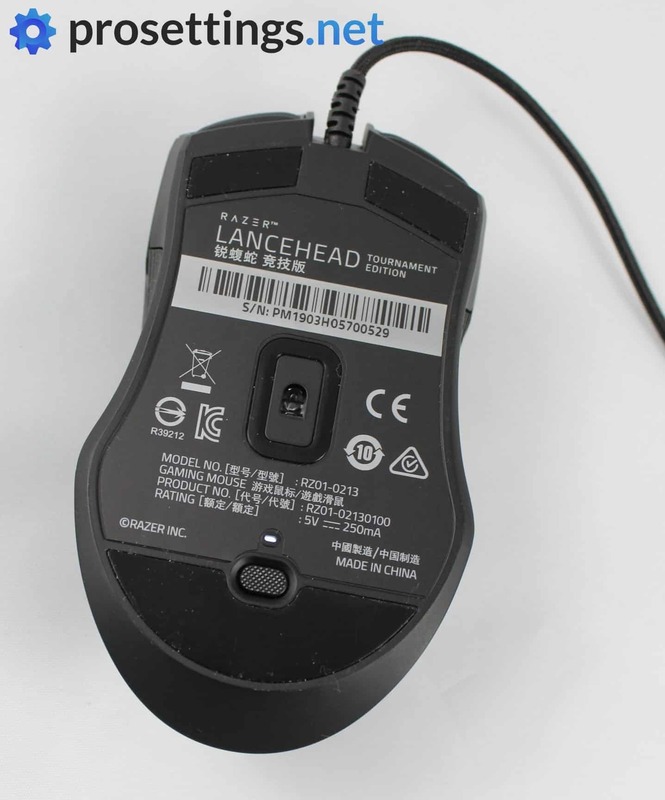 The Lancehead is a medium sized mouse (though it definitely leans more towards the ‘large’ side than the other way around) that weighs in at 103 grams. These days that’s pretty substantial for a wired mouse without any additional buttons or features. The weight is nicely balanced so it’s not unwieldy or anything, but in future iterations of this mouse I’d like to see Razer focus on losing at least some of that weight. 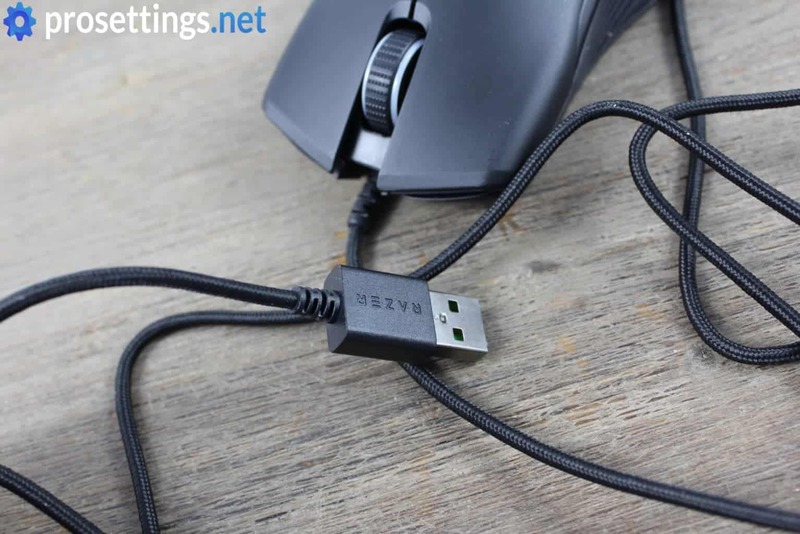 The mouse features two DPI buttons on top, a total of four side buttons (two on each side), a textured scroll wheel, and a profile selector switch on the bottom of the mouse. If you’ve unboxed a Razer mouse in the past two years you’ll know what to expect here. 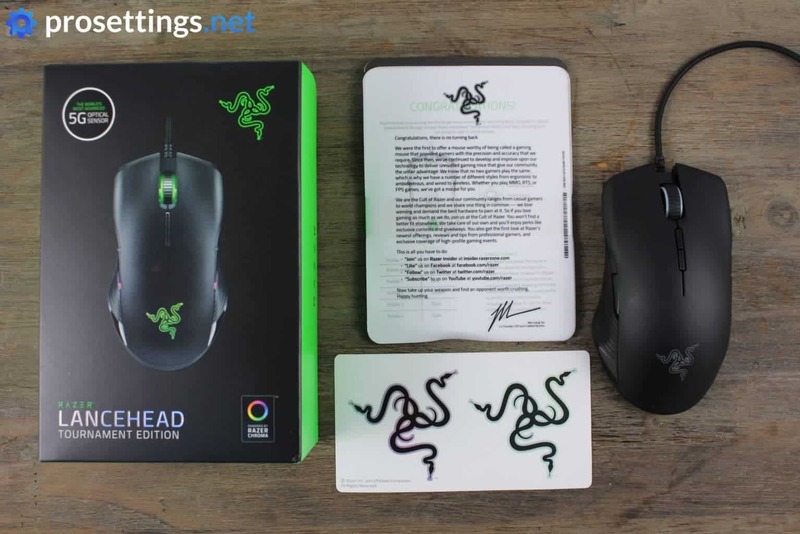 Inside the nice looking box you get the mouse, the usual warranty and instruction cards and booklets, and a note from Razer’s CEO thanking you for trusting the brand and congratulating you on your purchase. It’s all pretty standard but honestly; what more do you need from a mouse unboxing, right? Razer does also include two stickers in case you want to deck our your case or something like that. The front of the mouse is pretty standard; the mouse curves outward the higher you go which helps you pick it up, and the sides also start curving inwards a little the further back you go, but then once you get to the tail end of the mouse the base flares out pretty spectacularly which results in a rather strange feeling. I don’t necessarily think it’s a bad design, but it doesn’t really suit me personally. It’s fine for me on the left side, as I naturally place my thumb in a position where it’s resting right above the little ledge but also right underneath the side buttons, but the flared out backside does interfere with the way I’m holding the mouse on the right side. Shape is something very subjective, so this mouse might be perfect for a lot of people out there (and I’m also not saying it’s objectively a bad shape) but just be warned that this isn’t your usual safe ambidextrous shape. 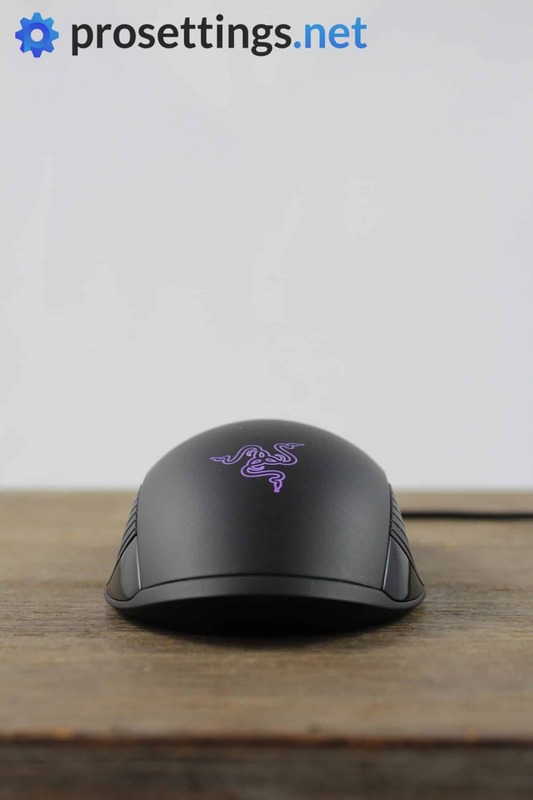 The Lancehead TE is coated with the usual matte black Razer coating, which does a fine job of staying clean and keeping any skin oils or sweat buildup away, but as is the case with other Razer mice most of the gripping will be done with your fingers on the added rubber elements. I like rubber elements on the sides of my mice, so I have absolutely no complaints on this front. The elements themselves have these grooves in them which are supposed to help with picking up the mouse and I feel like they actually do help with that, even if only a little. There are two side buttons on either side of the mouse and for the most part they seem to be conveniently placed. They are easily distinguishable as well, which is always a plus. I say this because I use the tip of my thumb to active the side buttons, as opposed to letting my entire thumb rest on them and then using either the top or middle part of my thumb to activate each button, so if the side buttons don’t have any clear differences in them or an easy to feel border it tends to make things difficult for me. 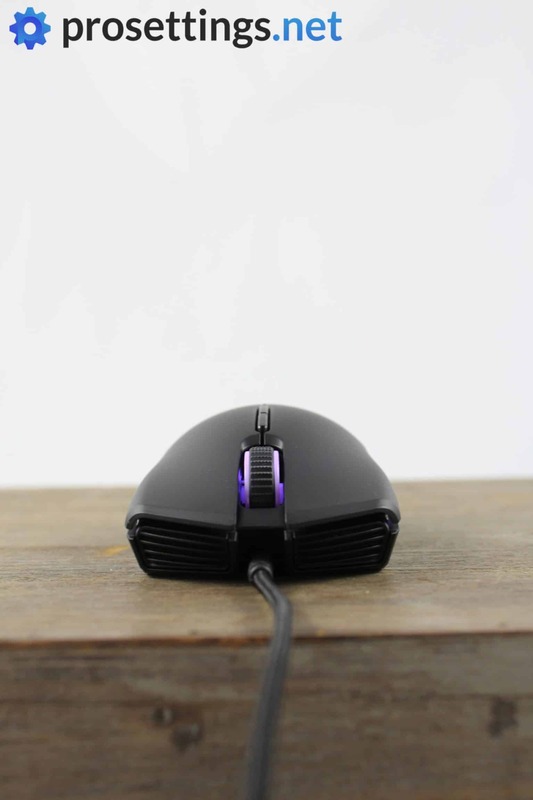 On the bottom of the mouse there’s a button (along with an indicator LED) to change profiles, and the device glides across your pad using three mouse feet which glide extremely nicely straight out of the box. The Lancehead TE features Razer’s own switches (which were co-designed with Omron) and the buttons themselves feel great. There is virtually no travel time and the main buttons produce a nice and crisp click, requiring the same amount of force on either side. There’s no noticeable play on the buttons when using the mouse normally either, so the main clicks get full marks from me. The (textured) scroll wheel continues the feelgood vibe: it’s got nicely defined steps but it’s still smooth enough to the point where it’s more than usable for continuous scrolling and it’s easy enough to press as well. The wheel is somewhere in the middle between actually feeling and hearing every step and a smooth and silent experience, and I’m quite confident that this middle ground solution will please most gamers out there. The side buttons kind of slow down the feelgood train, though. The actual switches provide a nice and snappy click when actuated, but for me they go into the shell a bit too far and the buttons themselves feel almost kind of mushy at some points. They’re not hard to press and they never fail to actuate, but they could definitely feel a lot better to use. A little side note on the side buttons: by default both sets are activated, so if you accidentally press the M4 button on the opposite side of the mouse it will do whatever you’ve programmed it to do ingame, which can lead to awkward situations. If you don’t want to be caught in a firefight holding a smoke grenade or whatever I recommend disabling the side buttons that you don’t need in Razer’s Synapse. The build quality on the Lancehead TE is stellar. Tapping, squeezing, or shaking the mouse produces no unwanted noises (well, you can hear the scroll wheel a bit when you violently shake it up and down, but since that’ll never happen during gameplay it’s a non-issue) or deformities. The cable feels great as well. Over the past couple of months there’s been companies who have been using almost shoelace-like cables, so this one isn’t quite the best out there, but it’s more than adequate and can easily be used without a bungee as well. 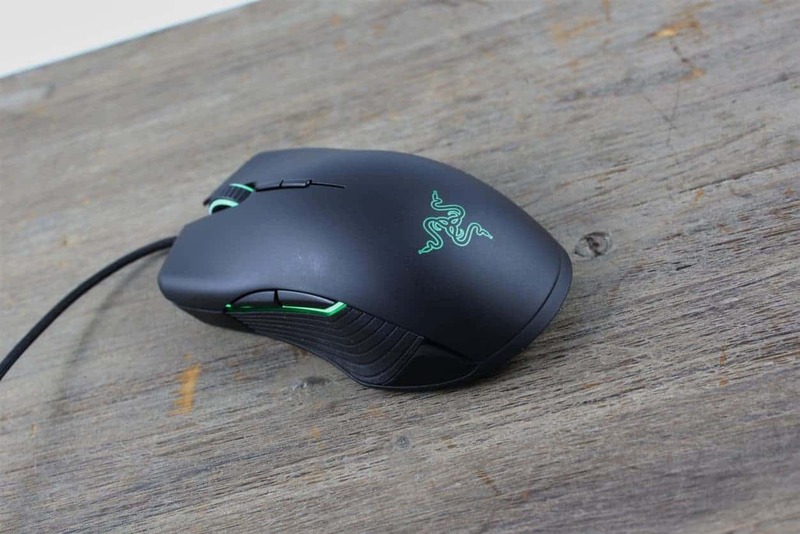 The Lancehead TE features Razer’s 5G sensor. The 5G sensor is a Razer branded 3389 optical sensor and it performs like a dream. 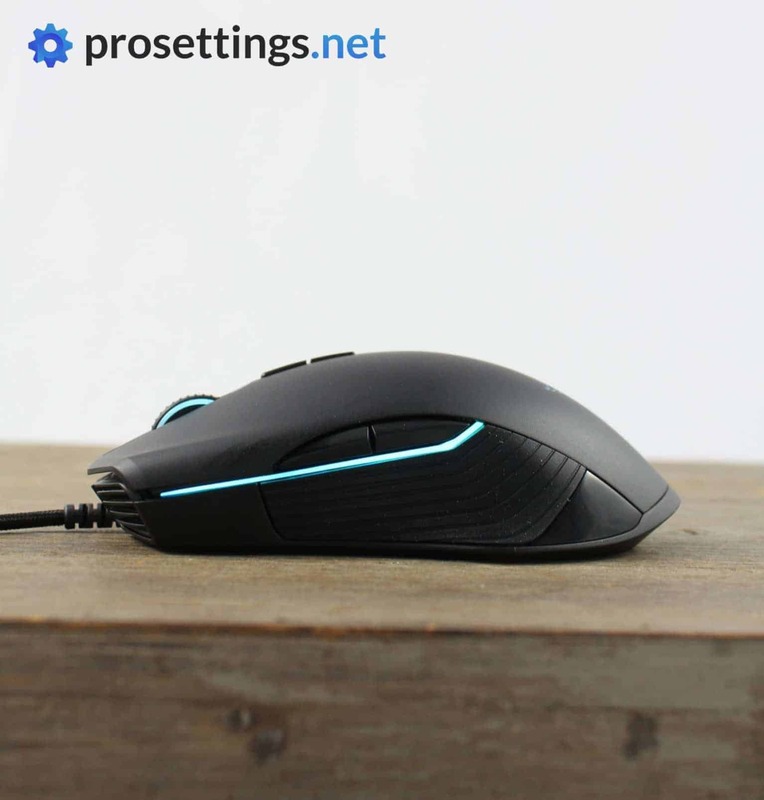 As we’ve come to expect from top-of-the-line gaming mice in 2019 this mouse has a flawless sensor, which in practice means that it translates whatever you’re doing on your mousepad/desk to the game with complete accuracy. You’ll find no smoothing or angle snapping here, and that’s of course just the way we like it. In an ideal world the only one to blame for missing an easy shot would be the player, and flawless mice are just another step towards that ideal. As I mentioned before it’s wise to install Razer’s Synapse before really delving into your favorite competitive game. Firstly to deactivate whatever side buttons you won’t use and secondly to configure your DPI and other settings. The Lancehead TE can store up to four different profiles, which is ideal for people who are often traveling to friends or tournaments to game. This is a pretty flat mouse, which’ll generally man a couple of things: it’s going to be ideal for fingertip and claw grip (provided you don’t want a full palm when clawing) and only suitable for palm grippers with smaller hands. My hands are 18.5×10.2 cm and while I admit that I’m not a natural palmer I should say that the mouse is too small for me to comfortably hold it that way, so if you’re looking to palm the Lancehead TE your hands shouldn’t be much longer than 18 centimeters. Even then it’s a flatter design by nature, so if you want a fully filled up palm you should probably skip this one. But we all know that flat mice like these aren’t ideal for palm grip, and that’s fine. Can’t please everyone. Clawers and especially fingertip grippers should get excited though, as the flat design means that it’s ideal for those kinds of grip styles. Do be aware that this isn’t your average ambidextrous design due to the fact that the mouse flares out pretty drastically towards the back, but if you’re into that sort of thing you should be golden here. The Razer Lancehead Tournament Edition features everything that a good gaming mouse should have, including a flawless sensor, crispy clicks, and a nice and flexible cable, but the shape definitely won’t please everyone. The backside of the mouse fits a little awkwardly for me personally, but I can’t really fault Razer for trying to go for a different kind of ambidextrous shape since there are plenty safe ambi mice to go around, so don’t take that as a net negative. The side buttons are a net negative though; these would benefit from some upgrades, but aside from that and the fact that I feel like they could do away with some of the weight there’s, objectively speaking, nothing wrong with this mouse at all. In fact it’s a great mouse if you can dig the shape and don’t mind the weight (which isn’t all that bad anyway since it’s not a small mouse and it’s nicely balanced). The Lancehead TE doesn’t really do anything new or groundbreaking, but not every release has to try and innovate the game, so that’s fine. 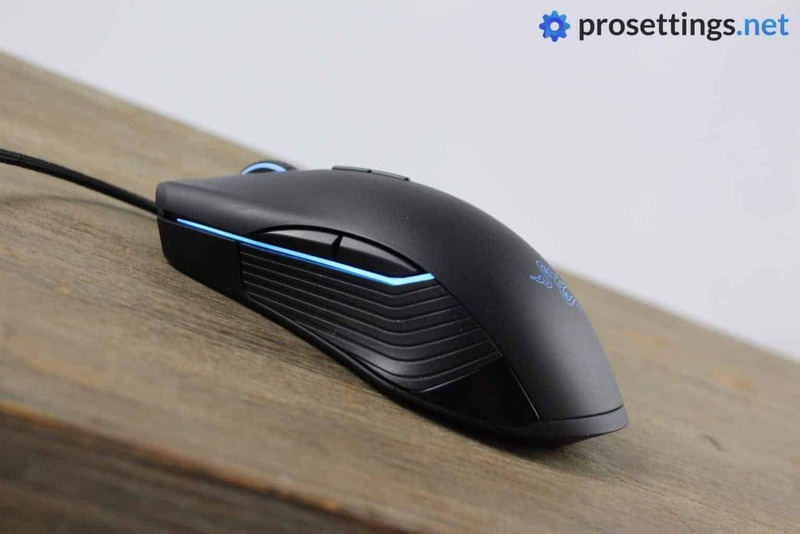 It’s a very good and dependable gaming mouse regardless, and if you’re a claw or fingertip gripper you should certainly take a look at this one. You’re right, these slipped my mind for a minute there. I’ve changed the quote.